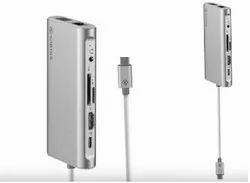 We are a leading Wholesale Trader of 8-port desktop switch, 60w 6-usb wall charger, 30w dual usb wall charger, 28w dual usb usb-c wall charger, universal travel adapter and usb-c to usb 3.0 hub gigabit ethernet, hdmi 4k vga adapter with pd charging (100w) from Mumbai, India. 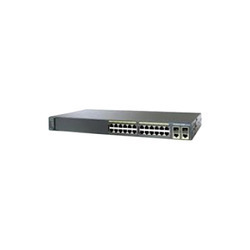 The Cisco SF90D-08 8-Port Desktop Switch 10/100 Switch is an unmanaged switch that offers the performance and ease of use needed to connect small businesses. 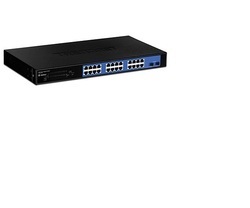 Use this desktop switch to connect up to eight computers, printers, or wireless access points to the network, as well as to share network resources such as servers and network-attached storage. 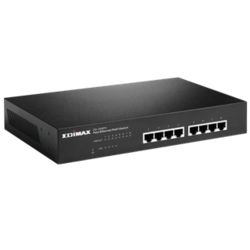 The switch works right out of the box and does not require any management or configuration. Quality of service (QoS) enhances network performance and improves voice and video quality. The switch optimizes power efficiency and features Energy Efficient Ethernet, which reduces energy consumption without compromising performance. 60W 6-USB Wall Charger CA-6UCWC CA-6UCWC charges your compatible smart phones, tablets etc. four times faster with Quick Charge 3.0 technology. 30W Dual USB Wall Charger CA-DUWC CA-DUWC charges your compatible smart phones, tablets etc. four times faster with Quick Charge 3.0 technology. 28W Dual USB + USB-C™ Wall Charger CA-DUCWC CA-DUCWC charges your compatible smart phones, tablets etc. much faster than the conventional chargers. Cadyce Universal Travel Adapter keeps your laptop, tablet or smart phone charged anywhere in the world. A perfect Travel Companion with US/UK/EU or AU plugs. 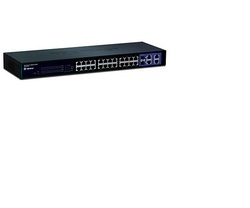 The 16/24-Port Gigabit Unmanaged Desktop/Rackmount Switch series brings the speed of Gigabit Ethernet to each and every port for a truly high-speed network. If your network has a mix of legacy and modern computing capabilities, each port allows for standard Ethernet, Fast Ethernet, or Gigabit Ethernet connections. You have the latest technology available to every computer and device connected to your network. These switches were designed for Plug-and-Play and hassle-free installation. Auto-MDI/MDI-X crossover on all ports eliminates the need for crossover cables when connecting to another switch or hub. Auto-negotiation on each port senses the link speed of a network device (either 10, 100, or 1000Mbps) and intelligently adjusts for compatibility and optimal performance. Diagnostic LEDs and cable diagnostics allow for quick detection and correction of network problems. 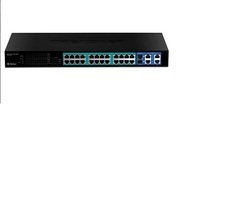 The 16/24-Port Gigabit Unmanaged Desktop/Rackmount Switch series helps you conserve energy automatically through several methods. It automatically powers down ports that have no link, allowing the switch to save substantial amounts of power by cutting power usage for unused ports or any ports connected to computers that have been shut down. It can also detect connected cable lengths, and adjusts power usage accordingly, helping you save energy without affecting networking performance. 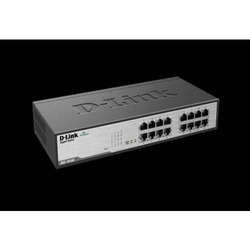 The 16/24-Port Gigabit Unmanaged Desktop/Rackmount Switch series makes use of D-Link Green Ethernet technology, providing more energy savings and a longer product life, without sacrificing operational performance or functionality. These environmentally friendly switches are also RoHS compliant, use recyclable packaging, and minimize the use of harmful substances. 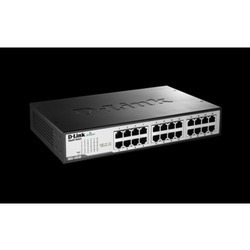 The ES-1008PH is an 8-port Fast Ethernet switch with 4 PoE ports, designed for use in small or medium sized network environments. The device's compact size makes the ES-1008PH ideal for users with limited space. 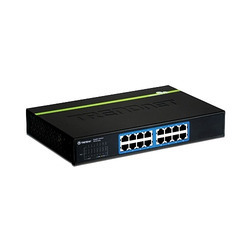 The ES-1008PH features 4 IEEE 802.3at Power over Ethernet (PoE) ports, which supply up to 30 watts of power per port. It can convert standard 100-240V AC power into low-voltage DC, which runs over existing LAN cables to supply power to IEEE 802.3at compliant network accessories. 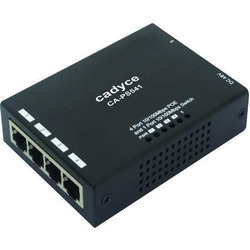 The ES-1008PH also features PoE detection, to verify whether the connected device is IEEE 802.3at compliant; if it is not a PoE device, only data will be sent through the LAN cable. The ES-1008PH can connect with a variety of PoE products, including access points, IP cameras and IP phones. It is the best solution for when power outlets are difficult to install or the power outlets are too far from the device. 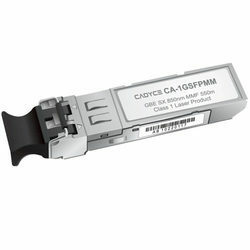 The standard Cat-5 Ethernet cable is used to link the ES-1008PH and the powered devices. This Ethernet cable can transmit both data and power. No separate power cable is needed for the powered devices, thus reducing installation time and costs. 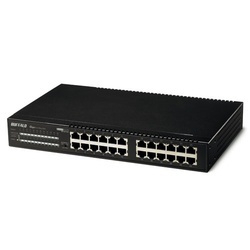 We are offering a wide range of 24 Port Gigabit Ethernet Switch which are a new line of stackable managed Ethernet switches that provide the advanced capabilities you need to support a more demanding network environment, at an affordable price. 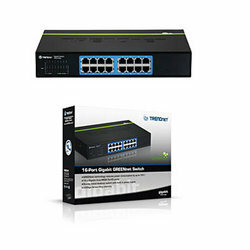 These switches provide 24 or 48 ports of Fast Ethernet and 24 to 52 ports of Gigabit Ethernet connectivity with optional 10 Gigabit uplinks, providing a solid foundation for your current business applications, as well as those you are planning for the future. 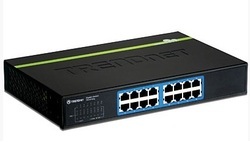 At the same time, these switches are easy to deploy and manage, without a large IT staff. 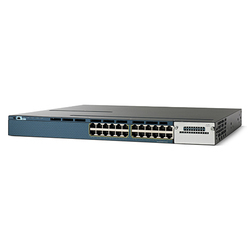 We are offering 2960 X Series Switches which are designed for operational simplicity to lower TCO, this platform also offers superior security capabilities. The switches deliver best-in-class energy efficiency, while preserving your investments through mixed stacking with existing Catalyst 2960-S and SF switches. 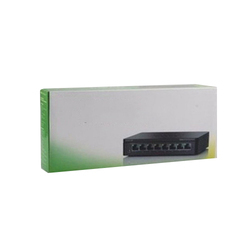 We have gained expertise in manufacturing, supplying, distributing, wholesaling and exporting 16 Port Gigabit Green Net Switch. All these switches are manufactured keeping in mind the variegated requirements of our respectable customers. Our quality controllers stringently inspect these switches on certain parameters to rule out every possibility of defect. 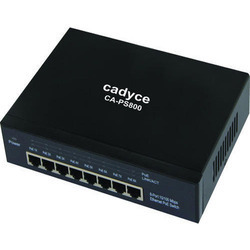 We are instrumental in manufacturing, supplying, distributing, wholesaling and exporting 8 Port Gigabit Net Switch. Our offered range of switches provides high bandwidth performance, ease of use and reliability; all while reducing power consumption by up to seventy percent. Also, we offer customization facility of these products as per clients’ demands. Our domain expertise has enabled us to manufacture, supply, distribute, wholesale and export high quality POE Switch. The range made available by us reduces equipment cost by delivering data and power over existing network cables. Besides, we make sure that these products are timely delivered at clients’ destinations using easy shipment modes. With the help of our experienced engineers, we are manufacturing, supplying, distributing, wholesaling and exporting Smart POE Switch. Our product-line reduces equipment cost by delivering data and power over existing network cables. Available in various specifications, these switches are in tandem with international quality standards. Supports IEEE 802.1Q VLAN, Asymmetric VLAN, QOS, IGMP, Trunking and Mirrorin. Provides SNMP ( v1), IEEE 802.1X and STP support. 48 x Gigabit Auto-MDIX ports. Supports IEEE 802.1Q VLAN, Asymmetric VLAN, QoS, IGMP, Trunking and Mirroring. 4 x Gigabit Auto-MDIX ports and 2 x shared mini-GBIC slots. 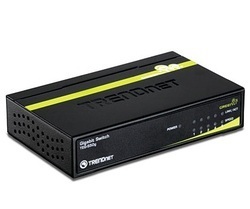 Reduces equipment cost by delivering data and power over existing network cables. 8 x 10/100Mbps Full Duplex POE ports. 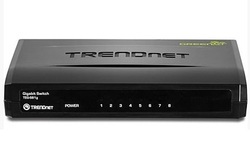 Use with TREND net's POE Splitter to network and power non-POE devices. 16 x Gigabit Auto-MDIX RJ-45 ports. Sturdy metal desktop switch with built in power supply. 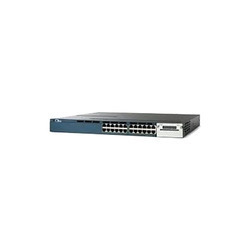 We are offering Cisco 24 Port Network Switch. 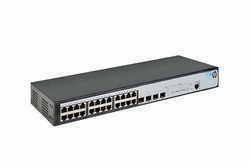 The Cisco Catalyst 3560-X switch is an enterprise-class standalone switch. This switch provides security, energy efficiency, and ease of operation with innovative features. The Cisco Catalyst 3560-X enhances productivity by enabling applications such as IP telephony, wireless, and video for borderless network experience. 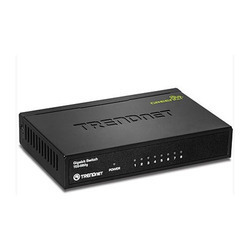 The TL-SG2424P provides 24 10/100/1000Mbps ports that supports 802.3at/af-compliant PoE, with a total PoE power supply up to 180W, powerful and flexible enough for users to deploy wireless access points or IP-based network surveillance cameras. 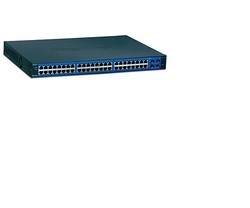 The switch also comes equipped with 4 combo SFP slots, expanding your network flexibly. In addition, it provides high performance, enterprise-level QoS, useful security strategies and rich layer 2 management features. With all these advanced features, the Gigabit Smart PoE Switch is an ideal choice for small and medium business networking. TL-SG2424P has useful security features. The Storm Control feature protects against Broadcast, Multicast and Unknown unicast Storm. Quality of Service (QoS, L2 to L4) provides enhanced traffic management capabilities to move your data smoother and faster. Anymore, the easy-to-use web management interfaces, along with CLI, SNMP and RMON, mean faster setup and configuration with less downtime. For workgroup and departments requiring cost-sensitive layer 2 switch and gigabit capability, TP-LINK Gigabit Smart PoE Switch TL-SG2424P provides you the ideal access-edge solution. 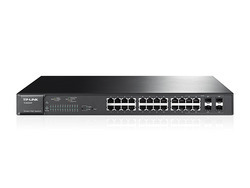 The HP 1920 are advanced smart-managed fixed configuration Gigabit switches that build on the marketing-leading price/performance of the HP 1910 Switch Series. The series features IPv6 support and advanced silicon technology. 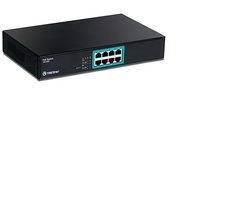 The HP 1920 Switch Series features easy-to-use, out of the box, plug-and-play deployment. The series offers a complete portfolio of choices for increased flexibility. 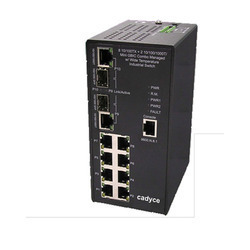 It consists of eight rack-mountable models with internal power supplies including four non-Power over Ethernet (PoE) models: 8G-, 16G-, 24G- and 48G- port; four PoE+ models: (2) 8G-, and (2) 24G-port. The HP 1920 Switch Series is built on the market-leading, proven reliability of the HP 1910 Switch Series with advanced silicon technology for low power consumption, an enhanced feature set for more robust operation, new models and options. The switch series is covered by the HP Lifetime Warranty with next day advance hardware placement, 24x7 phone support for 3 years and business day phone and email support for as long as you own the product.